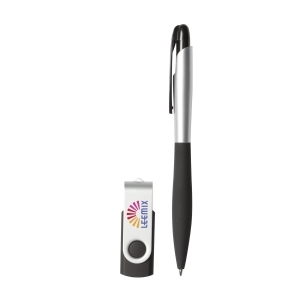 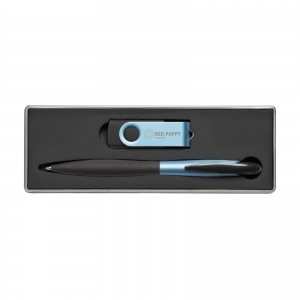 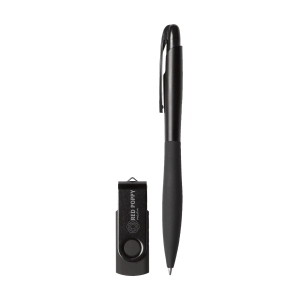 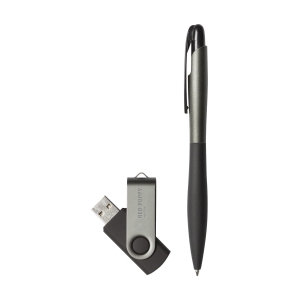 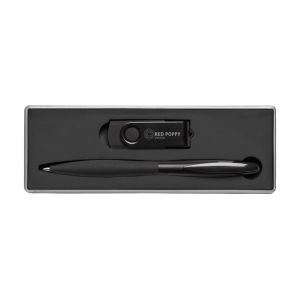 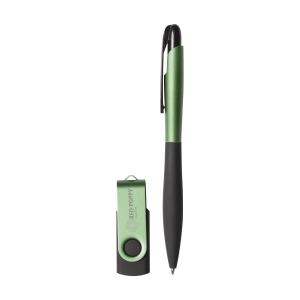 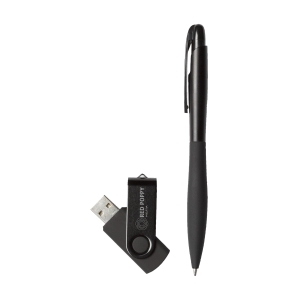 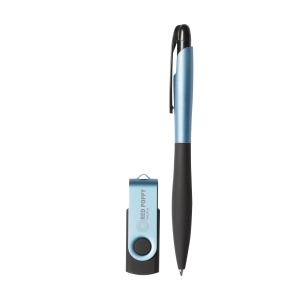 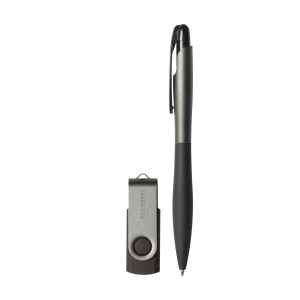 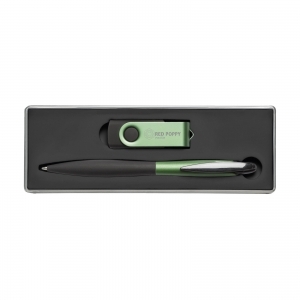 2-piece gift set consisting of a blue ink, sleek ballpoint pen with rubber grip and a convenient USB flash drive with a capacity of 4 Gb. Each set in box. 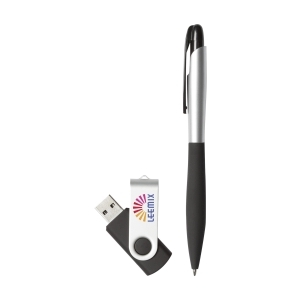 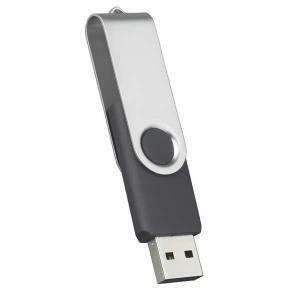 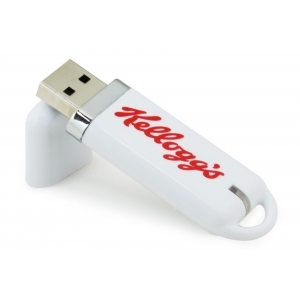 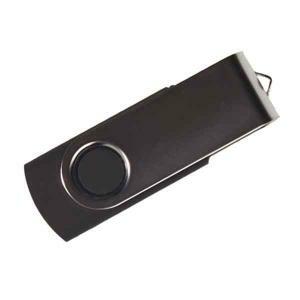 To order an unprinted USB Giftset 4GB from stock, please complete the details below.